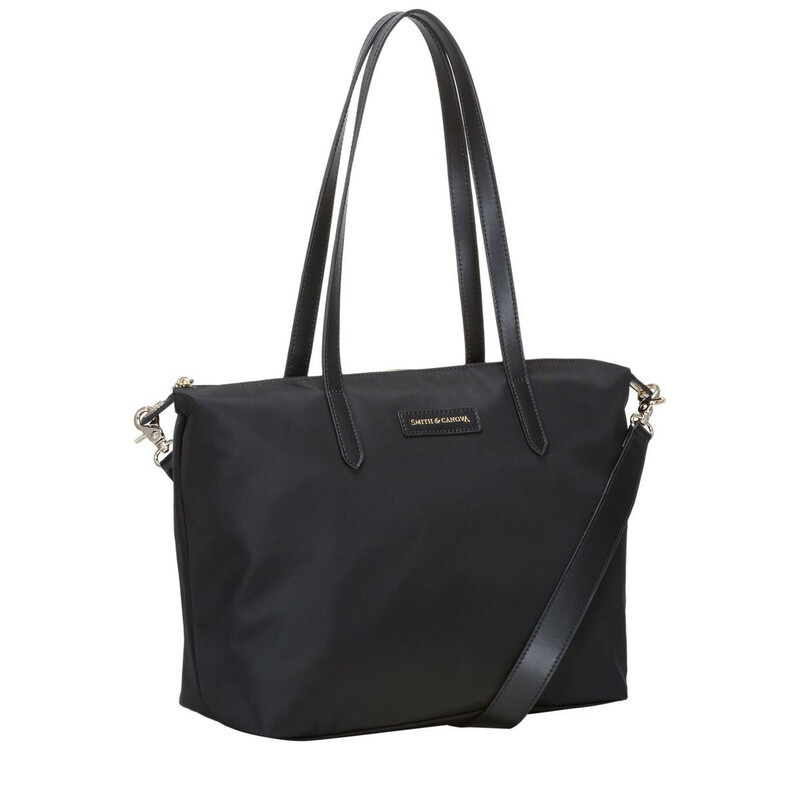 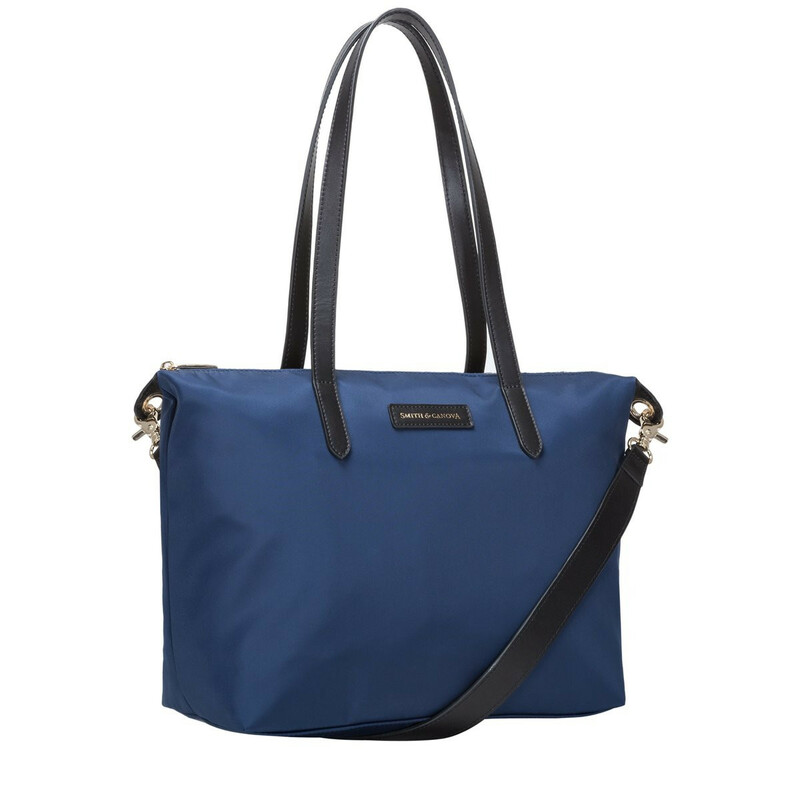 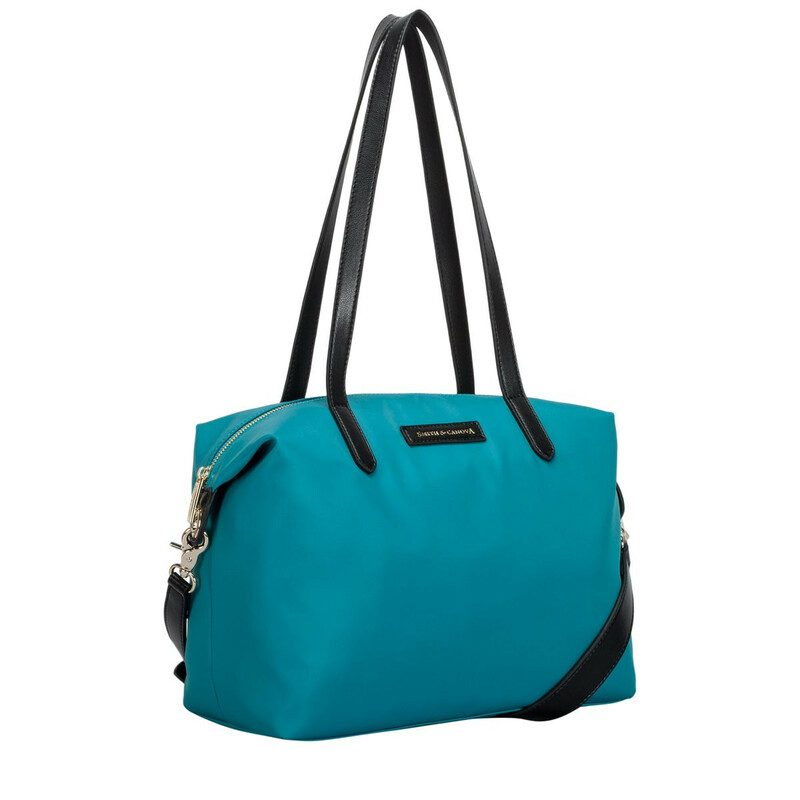 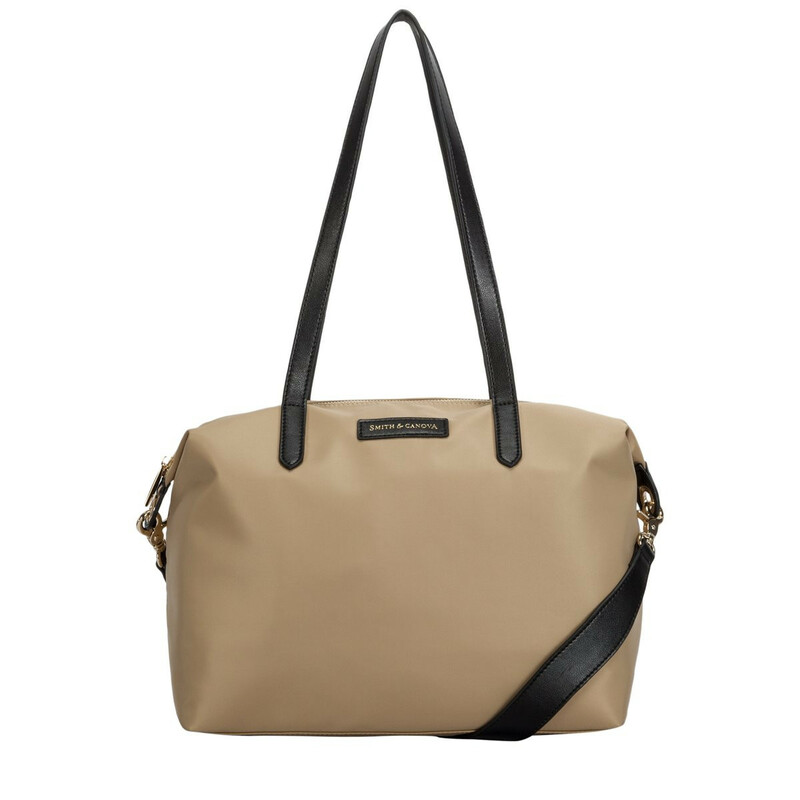 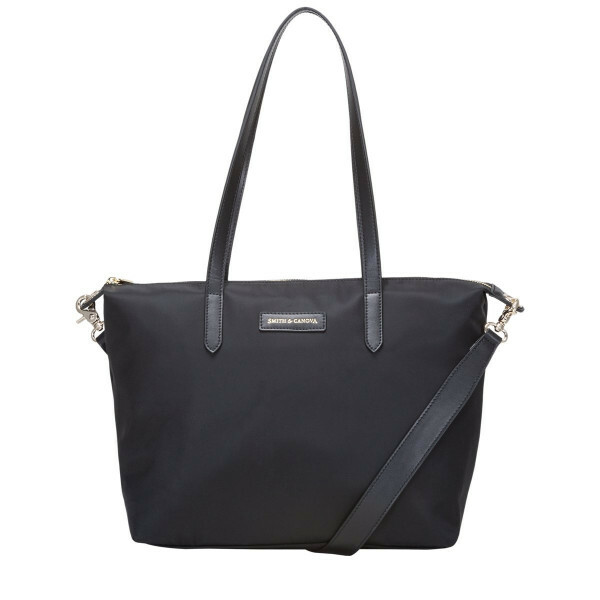 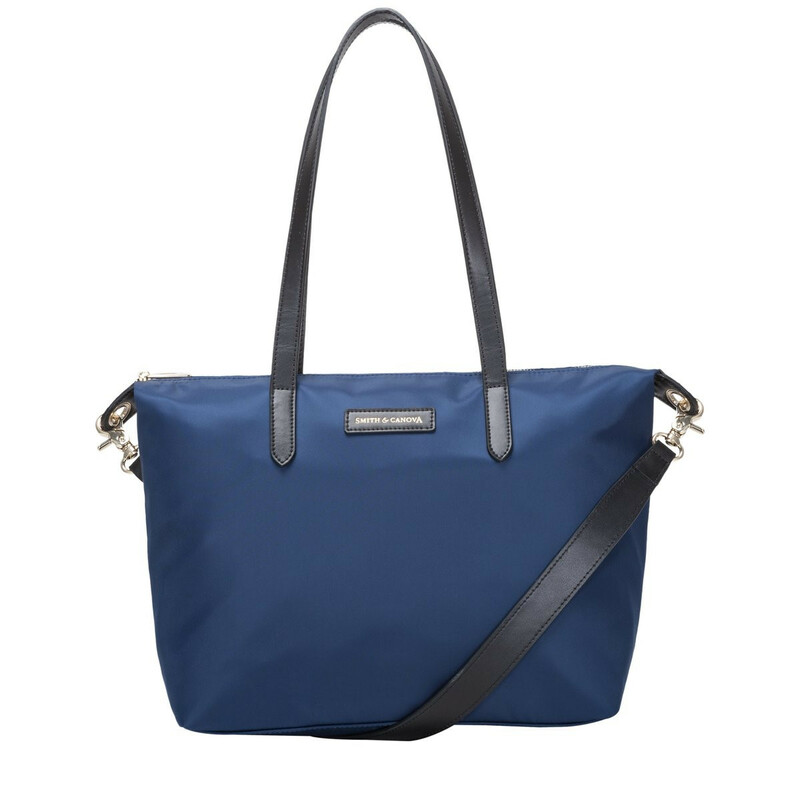 The Ama Tote is modern, yet timeless and is perfect for understated style. 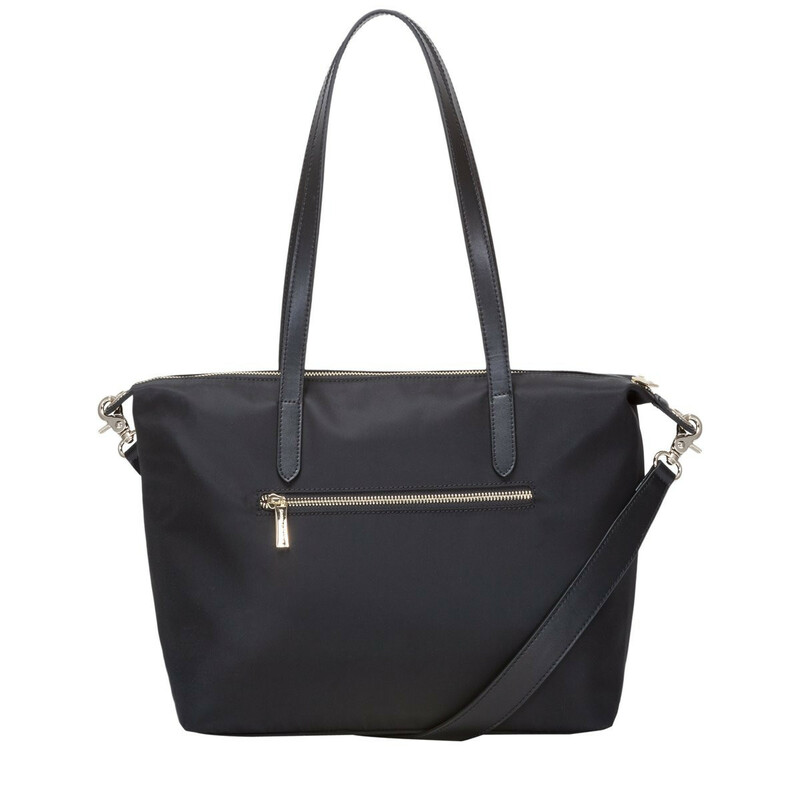 Made with a nylon material, the leather trim details add a luxury finish whilst the flashes of gold metal hardware give it a touch of sophistication. 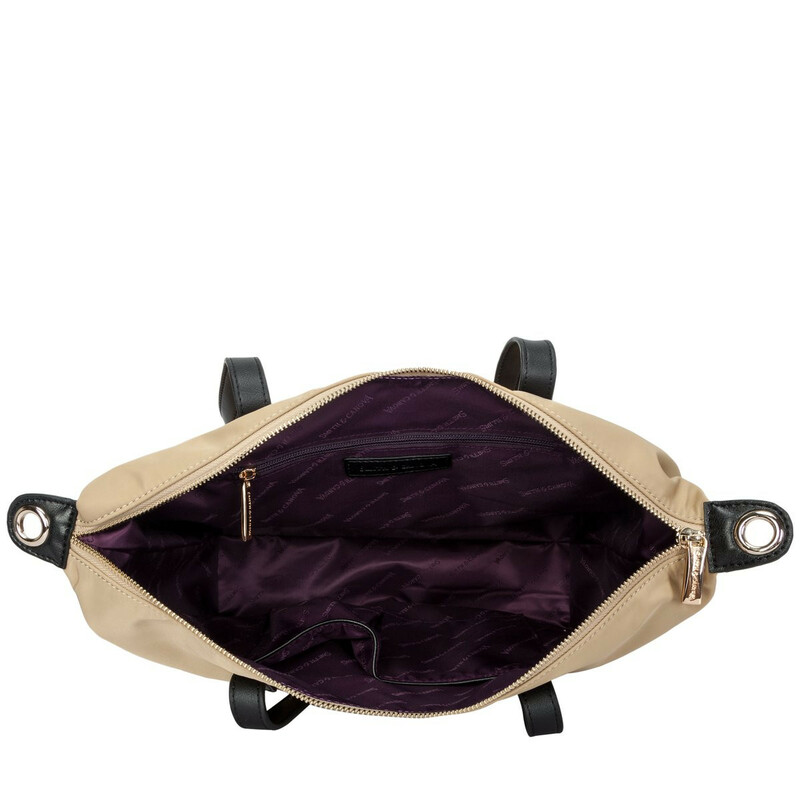 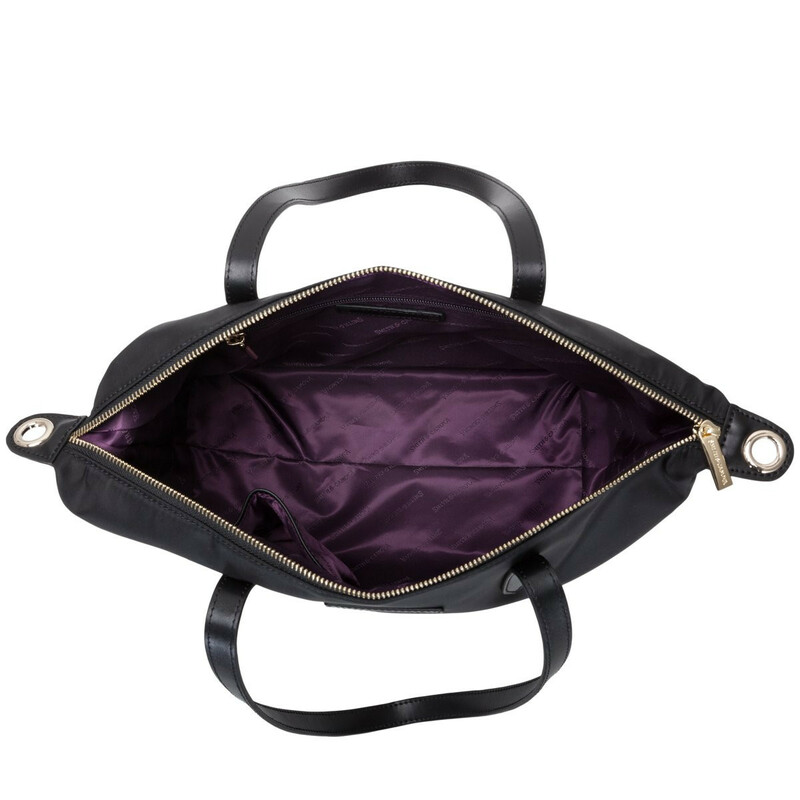 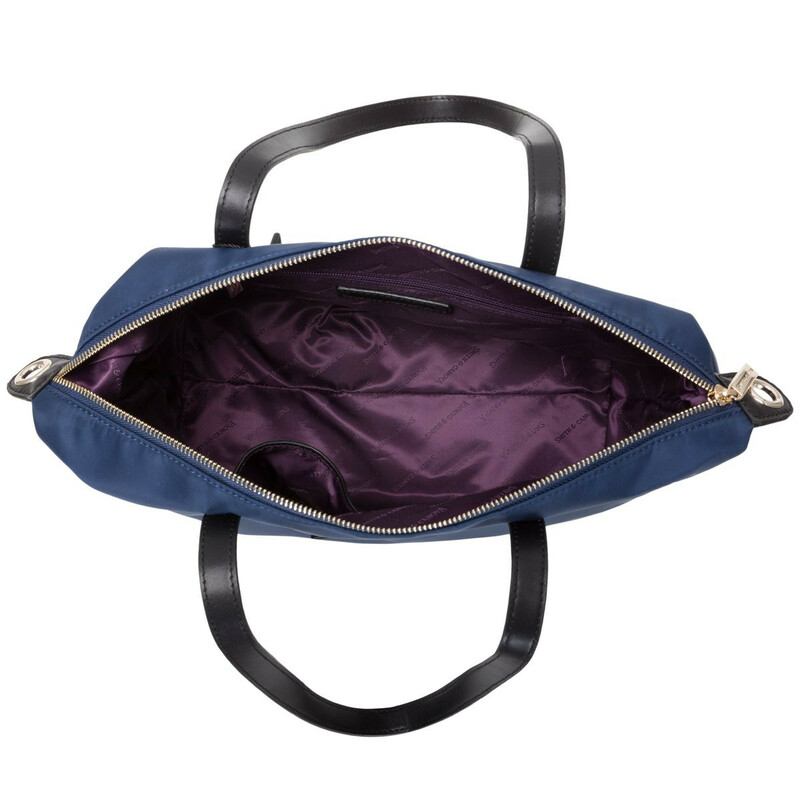 Inside reveals a spacious compartment, complete with slip and zip pockets for smaller items. 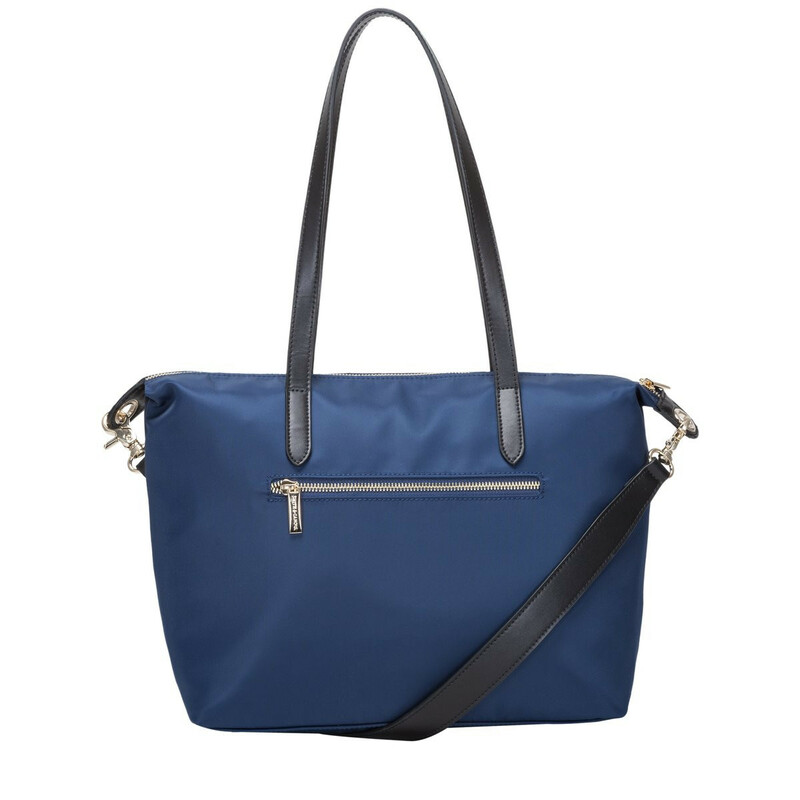 Wear as a tote bag or attach the shoulder strap and carry across the body.